(CBS News) President Obama spoke out for the first time on Friday about the fatal shooting of an unarmed 17-year-old African-American boy in Florida named Trayvon Martin, calling it a "tragedy." "I can only imagine what these parents are going through," Mr. Obama said from the White House Rose Garden, "and when I think about this boy, I think about my own kids, and I think every parent in America should be able to understand why it is absolutely imperative that we investigate every aspect of this and that everybody pulls together, federal, state and local, to figure out how this tragedy happened." 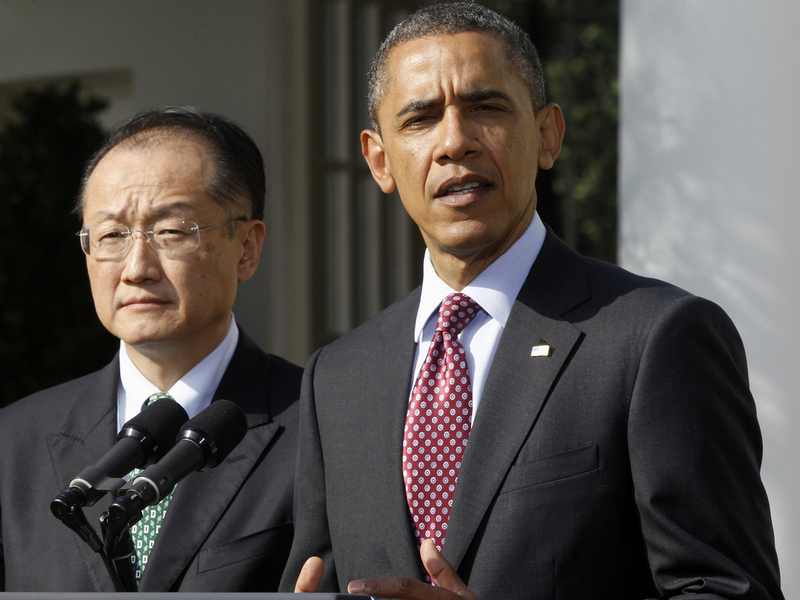 Mr. Obama was asked about the shooting on Friday during an event at which he announced the nomination of Dartmouth College President Jim Yong Kim to be World Bank president. Martin was shot in Sanford, Florida, nearly a month ago after a confrontation in a gated community with a neighborhood watch volunteer, George Zimmerman. Zimmerman maintains he shot Martin in self defense, and a Florida self-defense law has so far let Zimmerman remain free. But Martin's girlfriend, who was on the phone with him when it happened, says Zimmerman was the aggressor. Before he shot Martin, Zimmerman called 911 and told an operator an unfamiliar African American was in the neighborhood. The 911 operator told Zimmerman to stop following him. In spite of the ongoing investigations, outrage over the incident continues to grow. Martin's mother Sybrina Fulton said on "CBS This Morning" on Friday that she wants Zimmerman arrested. Thousands of people rallied in Sanford on Thursday to push for his arrest, and lawmakers on Capitol Hill have also decried the fact that Zimmerman remains free. Democratic Rep. Frederica Wilson of Florida took to the House floor on Wednesday to call for justice for Martin, calling the incident "a classic example of racial profiling quickly followed by murder." It is humbling that President Obama took time from his busy schedule to talk about Trayvon and offer the support of the Department of Justice and other federal organizations. The President's personal comments touched us deeply and made us wonder: If his son looked liked Trayvon and wore a hoodie, would he be suspicious too? We'd like to thank the President and the millions of people from around the world who have shown their support for Trayvon by participating in hoodie marches, rallies or through social media. We are all working together to not only get justice for Trayvon, but also to ensure that this kind of senseless tragedy doesn't happen to another child.